Not everyone is born with naturally straight teeth. If you are among those who have a less than perfect smile, the positioning of your teeth impacts more than just your confidence. It can also lead to oral health complications, like an increased risk of tooth decay, gum disease, or uneven wear on your enamel. Now, you can invest in your self-esteem and your dental health using an alternative to traditional braces. Dr. Cedric C. Chenet offers Invisalign in Melbourne to move your teeth into their ideal positions. He creates the healthy, beautiful smile you have always wanted without brackets and wires. Virtually undetectable for a sophisticated treatment. Smooth aligners to eliminate irritation to the inside of your lips or cheeks. No dietary restrictions, so you can eat and drink whatever you like. Easy oral hygiene routine because there are no brackets and wires to clean around. Less time in the dental chair because you do not need appointments for adjustments. Quick results in as few as 12 months. 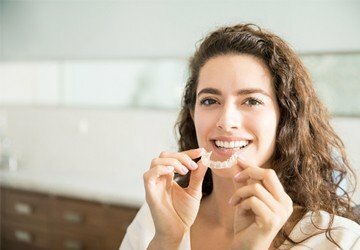 Invisalign is effective for correcting a variety of bite and alignment concerns; however, you still need a consultation with your dentist in Melbourne to ensure it is right for you. Dr. Chenet performs a visual examination and takes diagnostic images to assess your oral health and the positioning of your teeth. He takes a digital impression of your mouth to create a 3D model to map their movement. 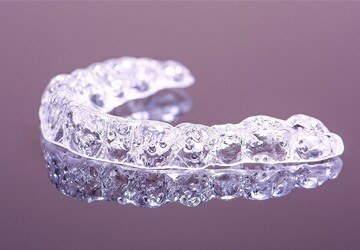 The information is transferred to a series of custom-made aligners. You wear each aligner in the series for about 1 week before switching to the next. On average, it takes 12 months to complete the series. You must commit to wearing the aligners for at least 22 hours per day to ensure there are no delays in finishing the series. 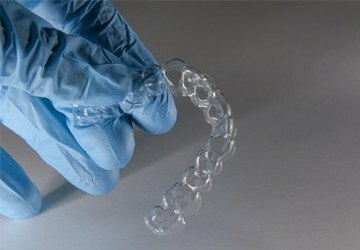 The cost of the treatment is determined by several factors, such as how many aligners are needed. Often, many dental insurances now pay for a portion of the treatment. Dr. Chenet accepts a variety of payment options to keep your new smile affordable. If you are ready to start your journey to a healthy, beautiful smile, contact our office today to schedule your consultation.